Firebug Lite 1.3.2 is finally out and it comes with important fixes and enhancements! 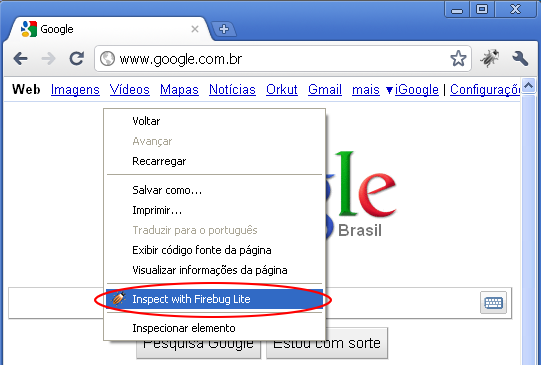 Check the Firebug Lite page for installation details of the the cross-browser version. Or, if you are a Google Chrome user, check the Firebug Lite for Google Chrome page. This release fixes 6 issues: 4 bugs and 2 enhancements. There’s also the addition of the cool infoTips module. Another important fix is Issue 3524 which was making the Style/CSS Panels to fail in sites like Joomla (or any other site that extends the native Element object for that matter). So enjoy, now you can tweak the CSS of Joomla sites! Also, regarding the Style/CSS panels, the infoTips module has been ported from Firebug so now you can see that little popup showing colors and images of the CSS file. The hard work is actually happening behind the scenes, refactoring Firebug Lite’s core in order to support sharing modules with Firebug. The Chrome extension code was also refactored and the communication between the “isolated worlds” (Firebug Lite / Content Script / Background Page) was improved, which allowed the context-menu integration to be implemented (Issue 3579). Now if you right click on Chrome you’ll se a “Inspect with Firebug Lite” option. Thanks to Jake Goldsborough for motivating me working on this. I also refactored the Chrome extension’s activation. Now it is possible to activate Firebug Lite extension using the F12/ctrl+F12 key (Issue 3166). I wish I had released this version a long time ago but a lot of stuff is going on and I had some problems along the way. I just want to express my sincere apologies for the long period without updates. Please post feedback in the newsgroup. This entry was posted on Wednesday, March 23rd, 2011 at 6:50 am	and is filed under Firebug Releases, Lite. You can follow any responses to this entry through the RSS 2.0 feed. Both comments and pings are currently closed.